Musician Wesley Chibambo, known as Dandy Crazy has been fined K10, 000, 000 (Ten Million Kwacha) by the Ndola Magistrate Court for breach of contract. Chibambo is one the PF cadres who were honoured by president Michael Sata on Zambia’s flag independence day in 2011. He was honoured for transforming the ‘Donchi Kubeba’ PF campaign slogan into a song. But it has emerged that Chibambo seriously believes in his and PF song Donchi Kubeba as he got money fro a night club in on the Copperbelt but had no intention of going to perform. The PF policy of Donchi Kubeba means that you get money from any one but never do what you have been paid for. Dandy Crazy was taken to court by ‘Next Joint Night Club’ after he did one of his ‘Donchi Kubebas’ on them. According to the claim filed in the court, Chibambo was contracted to perform at the night club and both parties signed the contract on June 19th 2012. According to particulars that were filed by Joackim Katambo the proprietor of the Night club, the club is claiming compensation of Eight Million Kwacha for failure by the defendant to show up for performances and refund of Two Million Kwacha cash that was given to Chibambo as down payment. During the hearing the musician admitted the charge and told the Court that he had offered the complainant that he will perform on another date he would suggest to make up for his action. However Katambo refused the offer explaining that patrons at his club were disappointed with Dandy Crazys’ conduct. 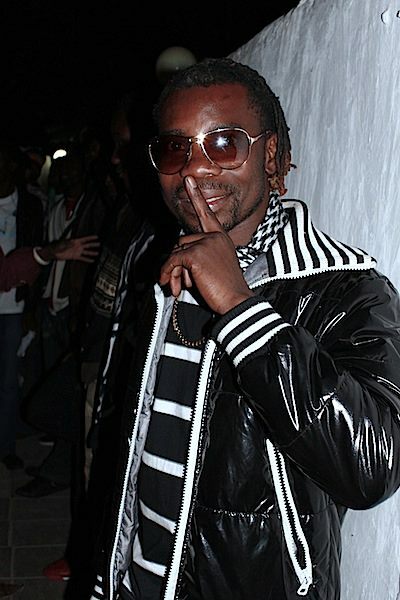 The court found the musician liable and ordered him to compensate the club K10 million. But with no money in his pocket, Dandy Crazy pleaded with the court to be allowed to pay the K10 million in four ins instalments with the first one to be made on 14th August, 2012.